I don’t know what to say. I had just finished my post for today, which now seems terribly insensitive. I’ll likely post it tomorrow with a disclaimer, but I can’t, with all this pain, do it now. I’m hurting. For the people in Boston. Those killed. Those injured. Their families. The other runners who worked so hard for a finish that will never happen. 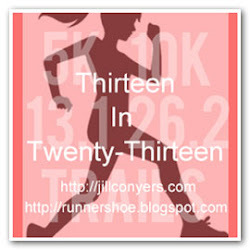 For runners everywhere. For Americans. For everyone. At the time I’m writing this, there has been no definitive answer on what happened. Or why. Or who. And for me, it doesn’t really matter. I hurt for them regardless. Because they are people. Just like you and me. And they are hurting. I’m sick just reading the updates and looking at the grotesque pictures that belong only in war movies. I’m not looking at it anymore. Just remember today how lucky you are. How safe. How healthy. How alive. Others are not so lucky. My running community is my family. They take me as I am. Not because they have to…because they want to. They choose to. 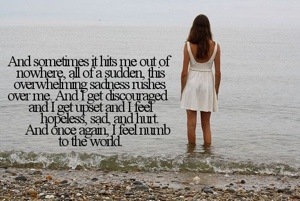 And tonight, my family is hurting. Pray for Boston. Pray for my family. Pray for all of us. I need to clear my head. I need to run. For Boston. For my family. For my life. Won’t you join me? This entry was posted in Life and tagged Boston, prayers. Bookmark the permalink. Tonight, I ran. Just one mile. No more, no less. No HR, no worrying about zones. Just ran. Tonight, my run wasn’t for me. It was for Boston. Just 1 Mile For Boston. Thanks Chris. I tacked on a few extra miles too because it’s all I could do. Today has been absolutely heartbreaking. … Lots of prayers going up tonight, and for the recovery days to come. Right there with you friend. Very well said. You’re so right about runners being family, and that we all hurt. I don’t know who made the meme you included, but it is spot on as well. Thanks Brian. It was the only response I could muster. That, and my run.